On entering this room you will be struck by the beautiful view through the large window overlooking the sea and the marina. 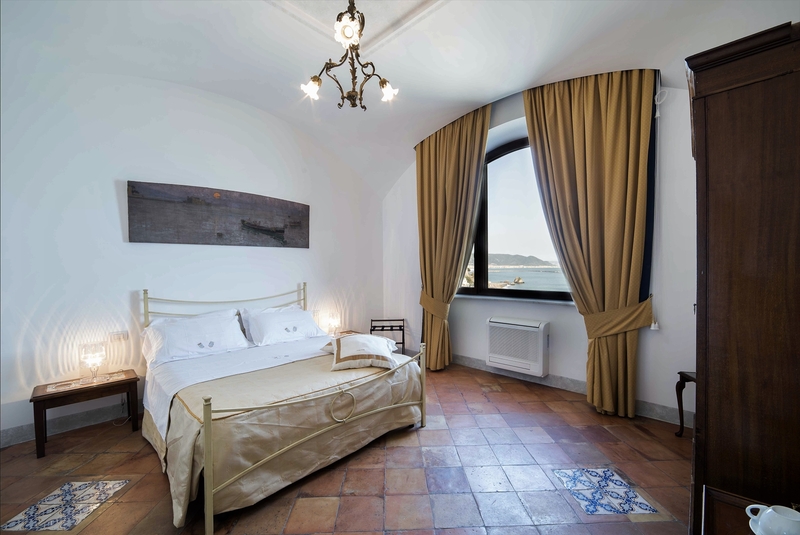 The room features a typical Amalfi-style vaulted ceiling and a 19th century terracotta floor enriched with traditional Vietri tiles as well as early 20th century furniture. The bathroom with ceramic walls and ceiling is complemented by a large, walk-in shower fitted with body jets and a wide tiled seat. What we can book for you ?